Mark Levack of Levack Real Estate Inc. in Glens Falls says there is a lot of value available in the Glens Falls real estate marketplace. A healthy economy in Glens Falls and surrounding communities bodes well for all sectors of the real estate market now and into the near future, local experts say. “The tourism industry is strong here, and much is going on to accommodate tourists,” Sears said. 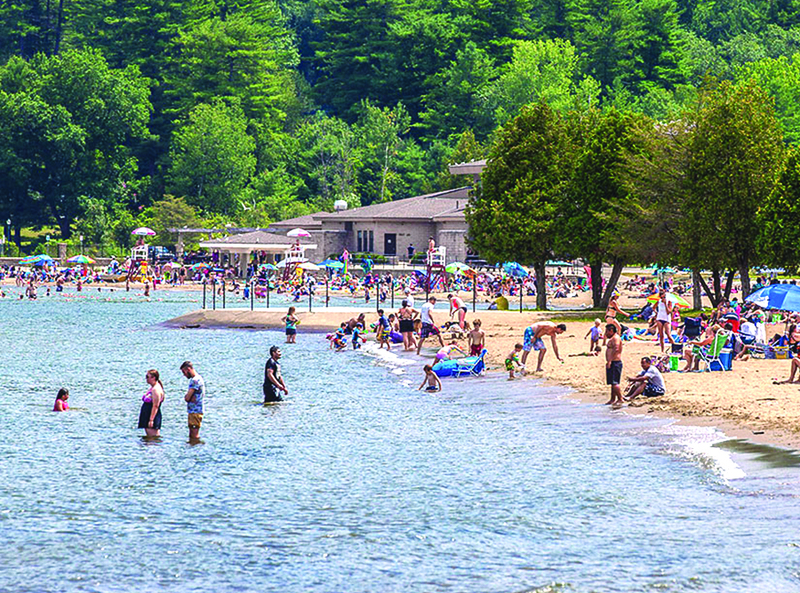 People enjoy Million Dollar Beach in the summer on Lake George, one of the many tourist attractions in the area. 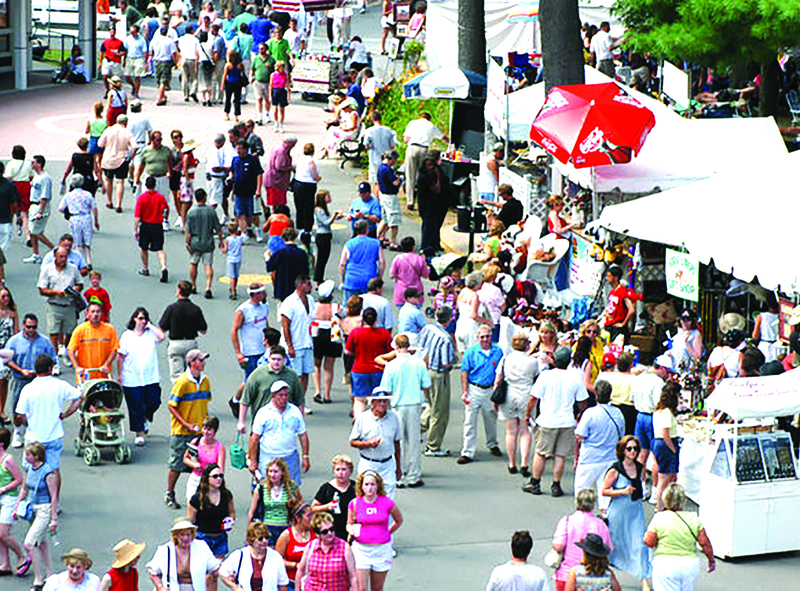 Officials are examining ways to best market the region all year around. At the end of the 2017 summer tourism, there are divergent opinions about who should oversee marketing and promotion of the region going forward. Members of the Warren County Lodging Association (WCLA) have been lobbying to create a Warren County Convention and Visitors Bureau, which would operate as a business and take over the marketing, advertising and promotion functions that have been the job of Warren County Tourism Department. Frank Dittrich, member of the WCLA and part owner of several hotels and inns in Lake George, is among those pushing for a change. He and others insist that the increased revenues from room occupancy taxes are the result of increases in room rates and not increased levels of occupancy. Some 62 regional businesses exhibited at the ARCC Business Expo at The Queensbury Hotel. The 2017 Adirondack Regional Chamber of Commerce Business Expo saw 62 regional businesses exhibiting and strong crowds, Chamber officials said. 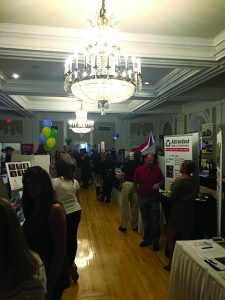 Held on Sept. 21 at The Queensbury Hotel, the event provided area businesses a chance to gather, network and connect in an exhibit-style setting. It gives members an opportunity to showcase their businesses and services that they provide. Complimentary food samples and various door prizes were also part of the event at the hotel. The premier sponsor was Capital Financial Group Inc. Presenting sponsor was Glens Falls National Bank and Glen Street Associates was the Photo sponsor. 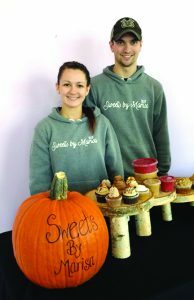 Marisa Allen-Fountain and her husband, Josh, own and operate Sweets by Marisa. For Marisa Allen-Fountain, owning a business has turned out to be every bit as sweet as she hoped for. In just a few months, her company Sweets by Marisa has turned into a local favorite. Allen-Fountain grew up in the Glens Falls area and attended Queensbury High School. She received degrees in business from SUNY Adirondack and SUNY Plattsburgh. Although she was not formally trained in culinary arts, the field had been a hobby of hers for many years. “My dad and I always talked about opening a sweets shop,” she said. She started creating cakes, cupcakes and other treats for friends and family. In 2016, her husband Josh surprised her when he signed her services up with a local wedding association. She did her first wedding show last year through the association, which gave her publicity. 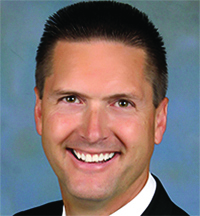 Glens Falls National Bank and Trust Co. promoted Andrew J. Wise to executive vice president and chief operating officer. In the newly created role, Wise will report to the CEO and be responsible for the overall management of the company’s internal administration, including operations and strategic planning. He joined the bank in 2016 and was most recently the chief administrative officer. He has more than 25 years of operational and information technology management experience. Wise has a bachelor’s degree from Boston University’s School of Management and is a state-licensed insurance broker. Active in the community, he serves on the board of the Wesley Community and is a member of the Saratoga Springs Lions Club. C.T. Male Associates Engineering, Surveying, Architecture & Landscape Architecture DPC recently hired a project environmental engineer and three geologists. The Beef Jerky Outlet in Lake George opened in the summer off Route 9 at the Outlets of Lake George East, next to Bass, in the Ralph Lauren and Coach section. The Beef Jerky Outlet in Lake George held its official grand opening in September. It is home to more than 100 varieties of premium jerky including favorites like prime rib, teriyaki and cherry maple. “We are very excited to see the community’s reaction. 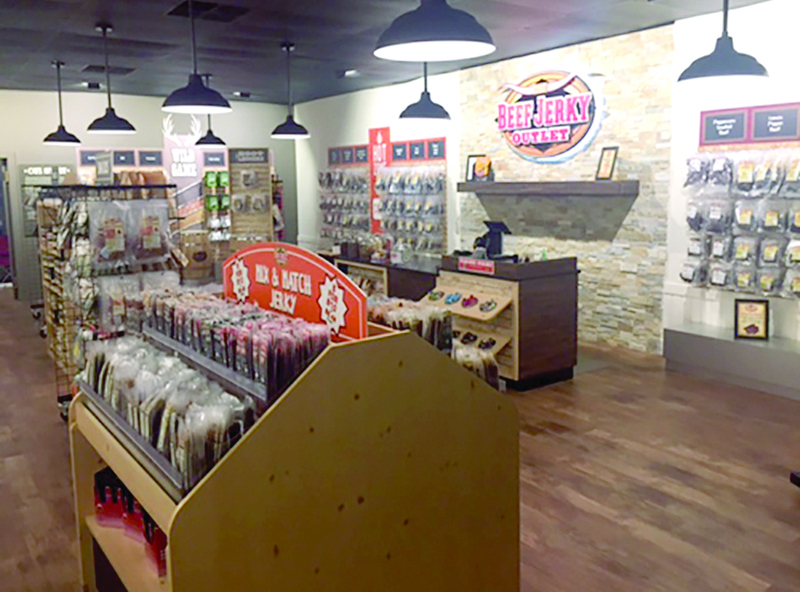 Our store is a unique experience that provides an entirely new perspective when it comes to beef jerky,” said co-owner Ralph Rimualdo. The 1,500-square-foot location also offers a wide variety of hot sauces, barbecue sauces, flavored peanut butters and popcorns, rubs, candy and more. Brendan Murnane will open Bolton Landing Brewing Co. in late October in a structure built in the 1890s, renovated by Paone Architecture of Saratoga Springs and Munter Enterprises of Middle Grove. 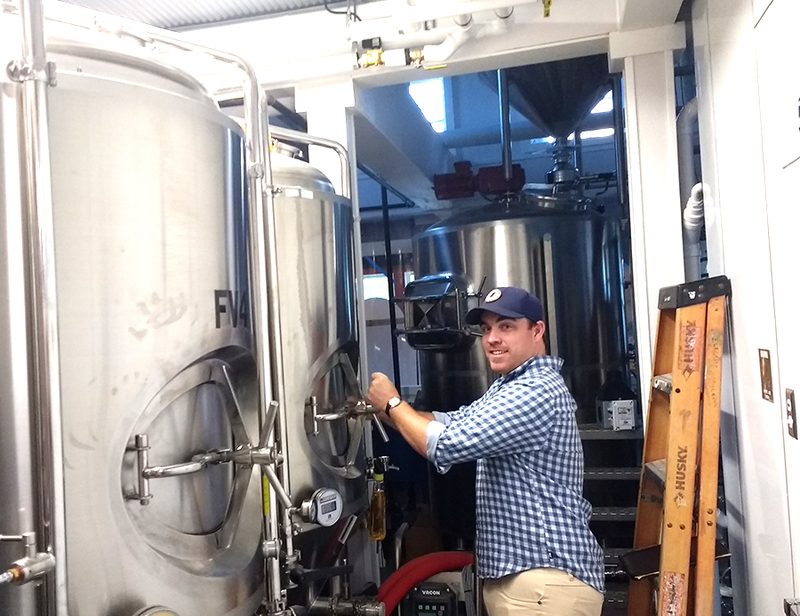 Courtesy Bolton Landing Brew Co.
Brendan Murnane started dreaming of ways to live and work in Bolton Landing ever since he was a kid. With the pending opening of Bolton Landing Brewing Co., his childhood dream is about to come true. The company expects to open at the end of October at 4933 Lakeshore Drive, across from Rogers Park and Lakeside Lodge Grille. The property is centrally located in the middle of the village of Bolton. Murnane has made significant renovations since purchasing the building in December. 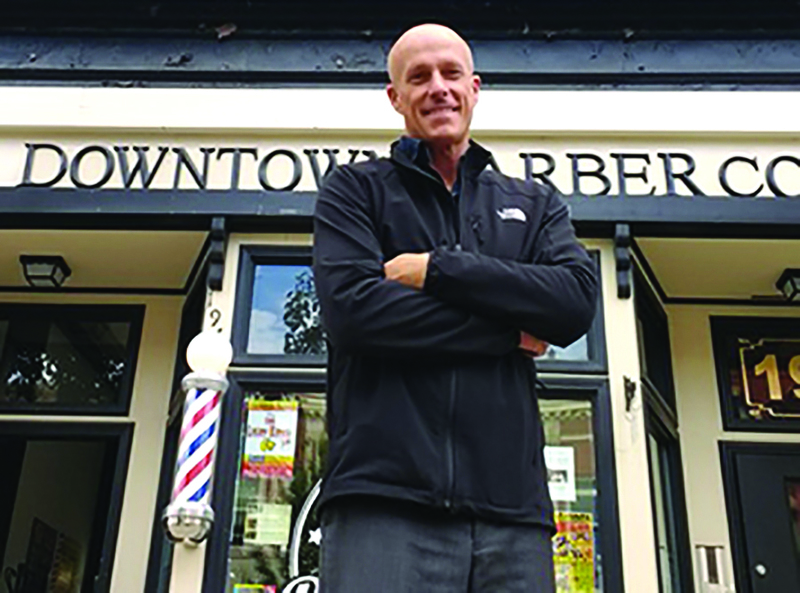 “We looked at a lot of places in town and fell in love with this place,” said Murnane. The ARCC Leadership Adirondack program, now in its 27th year, accepts prospective leaders from regional businesses, and provides them opportunities for personal and professional growth. Through a series of sessions and tours, the class learns about different industries and the economic drivers in the region. Each year, the Leadership Adirondack class chooses a fundraising project submitted by area nonprofit organizations. Last year’s class raised over $8,000 for the Family Service Association of Glens Falls. This year, the class has chosen the Open Door Mission. Open Door is a faith based organization committed to filling the gaps in services not provided elsewhere in the community. For more information on the Leadership Adirondack program, visit www.adirondackchamber.org. The 2017 New York State Fair awarded the Argyle Cheese Farmer a gold medal for its plain Greek yogurt, the highest award in this category. The company also won gold medals for its Sweet Greek chocolate mousse yogurt in 2016 and its maple Greek yogurt in 2015. In addition, its Amazing Grace aged cheese also won a silver medal in 2016. 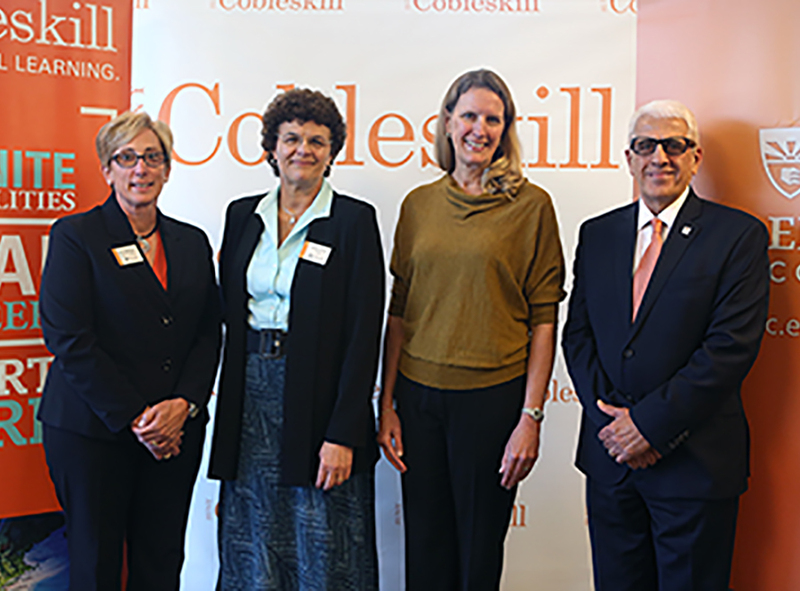 Officials from SUNY Cobleskill and SUNY Empire State College gather to announce an agreement between the schools to open a seamless path for business students to earn graduate degrees. SUNY Cobleskill and SUNY Empire State have forged an agreement to open a seamless new pathway for business students to earn a graduate degree. The articulation agreement allows qualified Bachelor of Business Administration students at SUNY Cobleskill to transfer smoothly into the Master of Business Administration in business management program at SUNY Empire. The agreement enables SUNY Cobleskill BBA students to cross-register for up to nine credits of SUNY Empire MBA coursework, and establishes a framework for developing a combined BBA-MBA program registered jointly by both institutions. Saratoga Race Course attendance reached 1,117,838 for the 2017 racing season. The New York Racing Association (NYRA) reported that the recently completed summer meet at Saratoga Race Course set a record for all-sources handle with $676.7 million being wagered during the 40-day meet. That surpassed the record of $648.3 million wagered in 2015. This year’s handle was up 4.5 percent over last year’s figure of $647.3 million, NYRA officials said. On-track handle was $157 million, just missing the record $157.6 million wagered in 2015, but up 3.4 percent from last year’s figure of $151.8 million, NYRA said. Total attendance, or paid admissions, for the summer was 1,117,838, just off the record of 1,123,647 set in 2016, officials said.